There are mounting challenges with managing our natural spaces, but is social media really to blame? Screenshot of a CBC news article from my home province, British Columbia. 1) True: There are problems with overcrowding. There are more people enjoying nature than ever before, particularly national parks. Crowds can reduce the quality of visitors’ experiences. It is also having a negative effect on the environment the parks are supposed to protect. But let’s take a moment to consider the real problem here. Is it really such a bad thing that so many people want to be in nature? It’s no secret that being outside and physical activity is good for you. And that many of us could do more to promote our health. Maybe the real problem is a lack of government support to meet this demand, not the demand itself. 2) False: There is a right and a wrong way to hike. Let’s look at a quote from the CBC article above from columnist Stephen Hui. I mean …. who made this guy the judge of who is and isn’t a hiker?! If an infrequent hiker wants to wander around a paved trail with their family, great. If someone wants to pull on their hiking boots and do a six-hour hike every Saturday morning, also great. I personally love multi-day adventures where I am freezing cold, a little bit scared and bushwhacking through the woods at 2:00am. And I also like taking selfies of myself doing yoga. We all have different ways to enjoy the outdoors. But that does not make anyone else’s desires or choices any less valid. 3) True: Inexperienced hikers may get into dangerous situations. There is often gap between our goals and our abilities. Striving for a goal and falling short is how we learn. This is not a new problem created by social media. It’s part of human nature. It’s also the stuff of pretty much every outdoor adventure novel. However, I agree with North Shore Search and Rescue, that social media influencers and web publishers need to do a better job informing people about the level of planning and preparation needed to be safe outside. 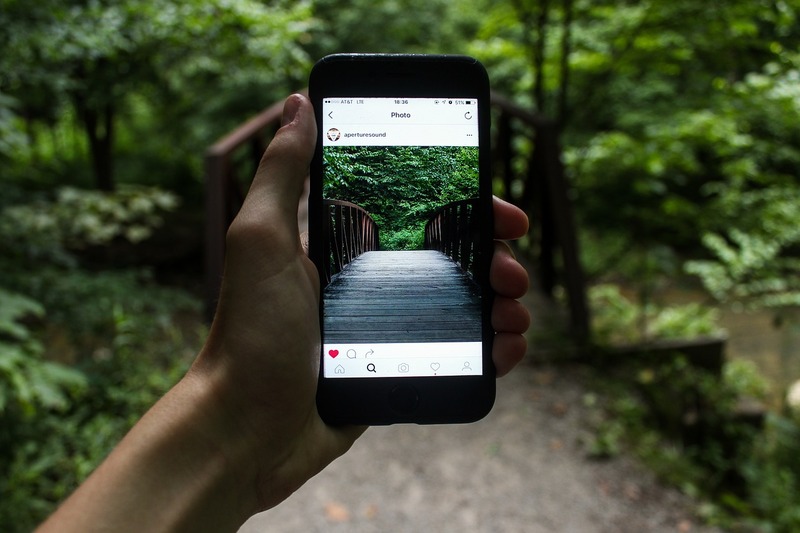 If you’re sharing on social media, it is important to briefly but accurately describe what is required to undertake adventure and link to safety information. For an example of what I do, take a look at the end of this trip report. It is a trip where I spectacularly failed to meet an ambitious goal, so you can enjoy that as well. 4) False: Only certain kinds of people belong outside. Young people use social media. Young women, in particular, are usually in those yoga pose photos. And certain kinds of people also turn to social media when they don’t see people who look like them on the trails. For example: Outdoor Asian, Melanin Base Camp, Fat Girls Hiking, Indigenous Womxn Climb. 🎉 #FRIYAY 📸 @hovcky "How I feel after ice climbing, apparently. Note how my jacket rides up over my harness, the mark of a rookie. The awkwardly splayed legs. And, of course, the screaming!" These are the same kind of people who are underrepresented outdoor recreation and in traditional outdoor media. Before you start writing an angry comment, I know a lot of you do not mean this when you say it. But it still can make outdoor spaces less diverse and inclusive. Whoa, that photo from Half Dome in Yosemite National Park is horrifying!!! It’s amazing to me that people would actually wait… I guess same as waiting for brunch. Anyway, great article, Jes! Social media and GPS technology is definitely changing our relationship to exploring the outdoors and as part of that, I think social media can definitely be used to educate people about preparation and risk. Everyone should follow North Shore Search & Rescue on facebook!